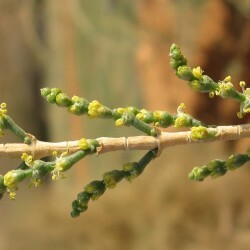 This tall, spineless shrub, known as ghadha in Arabic, is a native plant in Saudi Arabia with a range covering saline deserts in the northern part of the Kingdom. 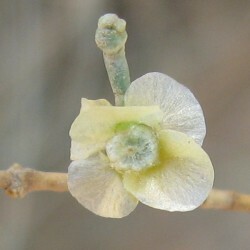 An evergreen bush with slender branches, it reaches a height of 2 metres and the insignificant, yellow flowers reduced to anthers appear in summer. 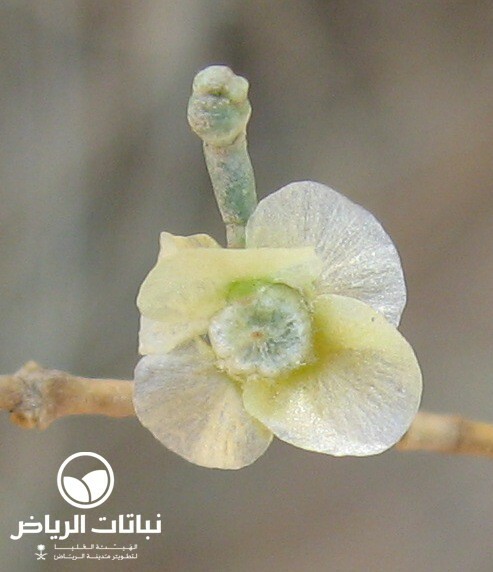 The plant is tap-rooted and prefers light sandy and loamy, well-drained soils; it will also grow in nutritionally poor soil under very alkaline and saline conditions. It requires full sun and can tolerate drought. 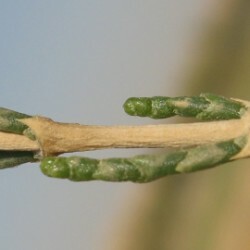 Propagation is by seed; it is occasionally infested by insects. 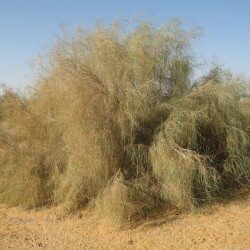 H. persicum, together with Calligonum comosum, are two important indigenous shrubs in the desert, supplying firewood and fodder for local populations. 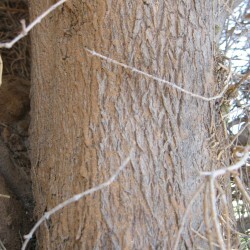 They are also extremely important in sand dune fixation and environmental improvement, but their numbers have begun to disappear with over-exploitation and destruction of their natural habitats. In addition, extremes of climate, overgrazing by livestock and browsing retard the shrub’s growth rate. 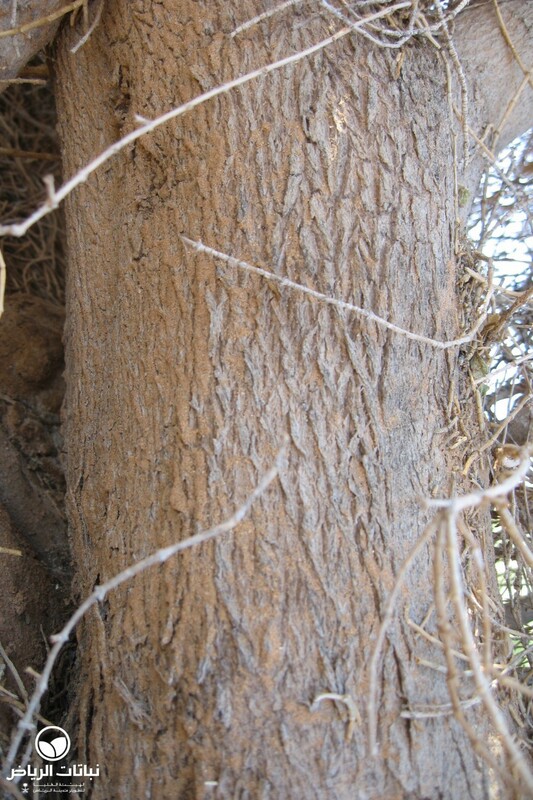 Furthermore, natural regeneration is impeded, when the seeds of the plants become deeply buried in sand, impeding germination. 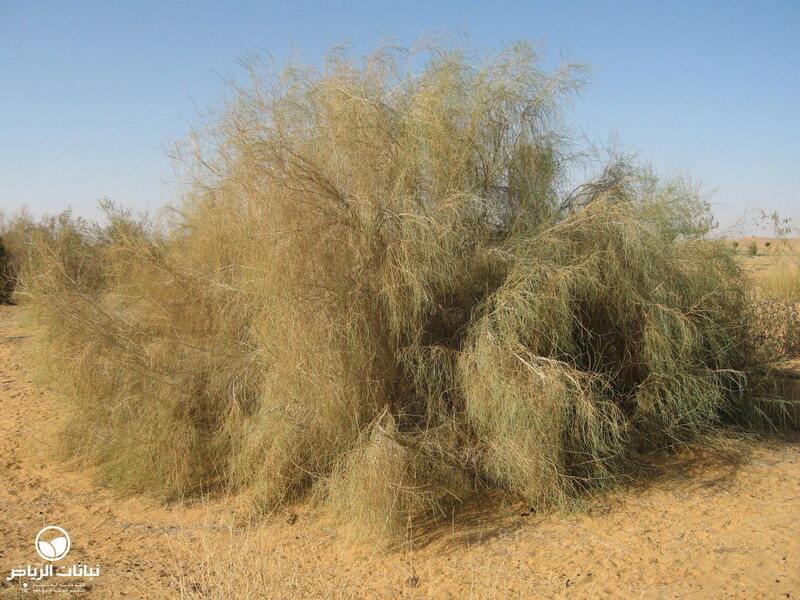 H. persicum is a useful plant which should be planted more often, owing to its usefulness in dune stabilisation, afforestation schemes and windbreaks. Slow-growing, it has minimal irrigation and maintenance requirements.